The news that the long-awaited appeal in the £7.9 million “edge sorting” dispute between Phil Ivey and London’s Crockfords Casino will be held late next week is sure to trigger increased mainstream interest into several of the related topics that are related to the high-profile case. Ivey and Cheung Yin “Kelly” Sun, his partner in the edge-sorting scheme that was used in multiple casinos, have readily and repeatedly admitted that they employed a complex scheme to pre-identify certain cards and obtain a mathematical advantage over the casinos they visited, This acknowledgment was made while the pair also adamantly denied that their actions amounted to “cheating” as generally understood or as specifically and legally defined — whether in the US or the UK. Amid Ivey’s deposition in the other major case involving the pair’s edge-sorting tactics, that being the lawsuit brought by New Jersey’s Borgata casino in which Ivey and Sun are co-defendants, Ivey details his beliefs at some length that advantage play does not constitute cheating, even if it involves withholding certain information or lying in response to certain questions. Right or wrong, this speaks directly to the core of the advantage player’s mentality. Since Ivey’s Borgata-case deposition is now public record, we’ll just provide a few excerpts of Ivey’s own words in that case, thus allowing our readers to form their own opinions on the matter. Borgata Lawyer Jeremy Klausner: … [I] believe you testified about it and made statements about it, that casinos don’t really welcome advantage players; isn’t that right? Ivey: Some casinos don’t but some casinos allow you to play. Like the Venetian and the Crown, they still allow me to play. They just tighten up their game. 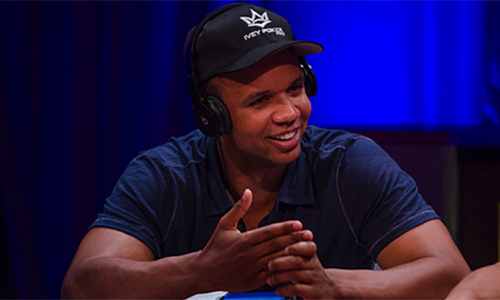 Ivey: So if they know that you’re an advantage player or they know that you’re a card counter, they just put procedures in place to make sure that the casino still has the advantage. BL: Okay. You remember testifying in the Crockfords case, right, at the trial? BL: No, but you remember there was a trial; you testified? BL: Okay. And you talked about if you’re an advantage player, you don’t want the casino to know you’re an advantage player. You have to disguise your play. Do you remember saying that? Ivey: Yeah, because if they know what — if they know what you’re doing, they’ll kick you out. BL: Okay. So when I asked you if casinos welcome advantage players, if they know you’re an advantage player and you’re playing with an advantage, they don’t — they’re not interested in that business; isn’t that true? Ivey: Well, they’re not interested in the business if you’re playing with an advantage at the time. Ivey: But if they know that you’re an advantage player and you wire them, you know, three million dollars or two million dollars, a lot of casinos will accept your action and just tighten up their game so that you cannot play with an advantage. BL: If you are playing with an advantage in a casino, you do have to disguise what you’re doing because you want them to let you play, right? Ivey: Well, yeah. If you’re counting cards, you can’t say, hey, I’m counting cards. BL: You have to disguise it. I mean I can read you the — I can read you your testimony from England if you’d like but I just want — you know. BL: Let me ask you your own question. If you’re in a casino counting cards and they come up and tap you on the shoulder and say, Mr. Ivey, are you counting cards, what do you say? Ivey: No. You say — you probably deny it. BL: . . .But Ms. Sun testified in the Crockfords case that she did not need to tell the dealer the truth. Do you agree or disagree with that statement? Ivey: Yeah. I mean it’s not the player’s obligation to let the dealer or anyone know what our strategies are. Ivey: Same as in poker, same as in blackjack, same as in any house game.· It’s not the player’s obligation. BL: Even if you’re asked a direct question? Ivey: I’m not sure anyone was asked a direct question. Ivey: You want to do hypothetical again? Ivey: Okay. If you’re asked a direct question, no, it’s not your obligation to tell them.